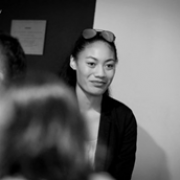 Jacinta Talia'uli, our head girl in 2013, is about to embark on one of the biggest learning experiences of her life. On 2 April, she will travel to San Jose, California to attend a global summit for young entrepreneurs (ASES) at Stanford University. This will connect her with 35 future leaders of all nationalities, who have been chosen from hundreds of applicants worldwide. During the summit, Jacinta will learn from leading Silicon Valley entrepreneurs, and top business academics, as well as from her peers. Jacinta’s successful application was based on her combined interests in entrepreneurship and technology. She is studying for a BCom majoring in Information Systems at the University of Auckland. At university, she has been active in supporting MHS alumni with the transition to university, and as a leader in the Commerce Association of Pacifica and Maori Students. She has also built on business skills developed at school through Young Enterprise, by participating in the university's Spark Challenge. Alumni Ryan King encouraged Jacinta to apply for ASES, having had the experience himself in 2015. Jacinta was also encouraged and supported by Tony Falkenstein, a business owner and entrepreneurship advocate who has been working with us to develop our Business Academy. One of the goals of the Business Acaedemy is to help our students to appreciate the value of networks for enabling opportunities and solutions. Jacinta offers a great example of this goal in action, and is a role model for our students in the courage she demonstrates to go for her goals. We wish her the very best and look forward to hearing about her learnings.